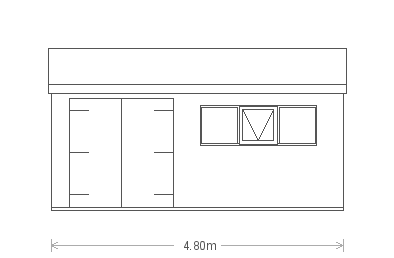 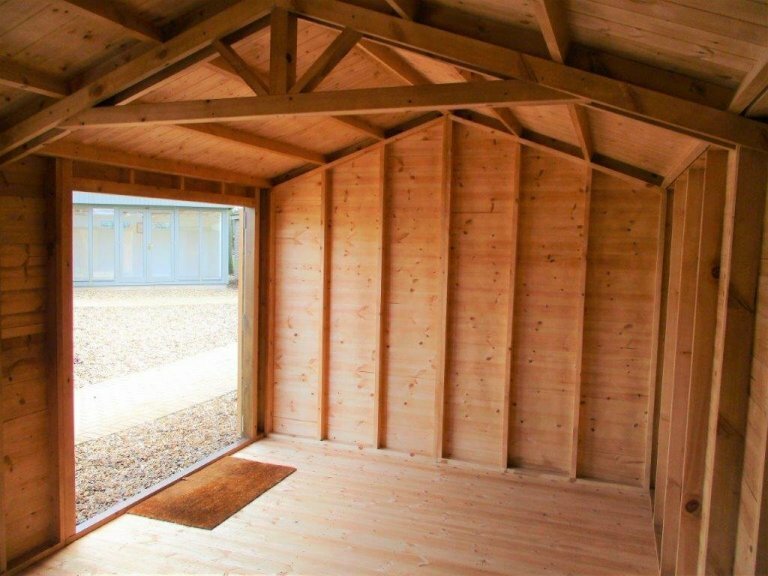 Measuring 3.0 x 4.8m, this stunning Superior Shed was designed and hand-built at our Norfolk factory before being delivered and assembled at our Brighton Showsite where it is now on display. 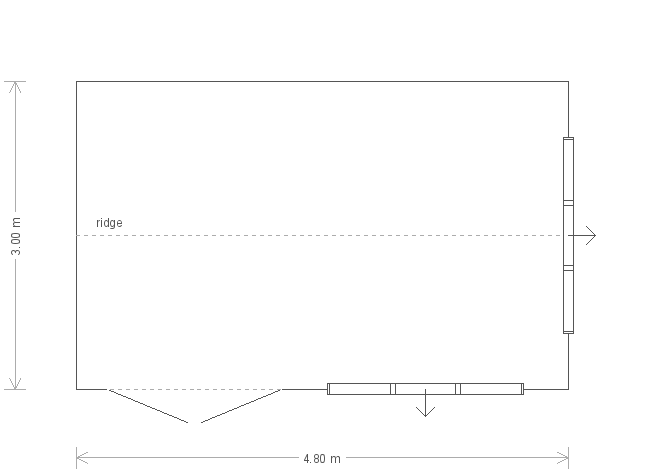 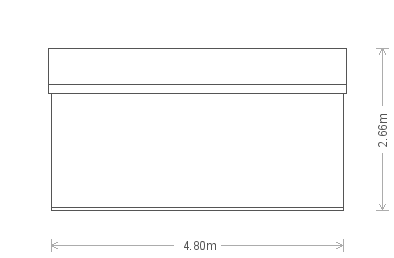 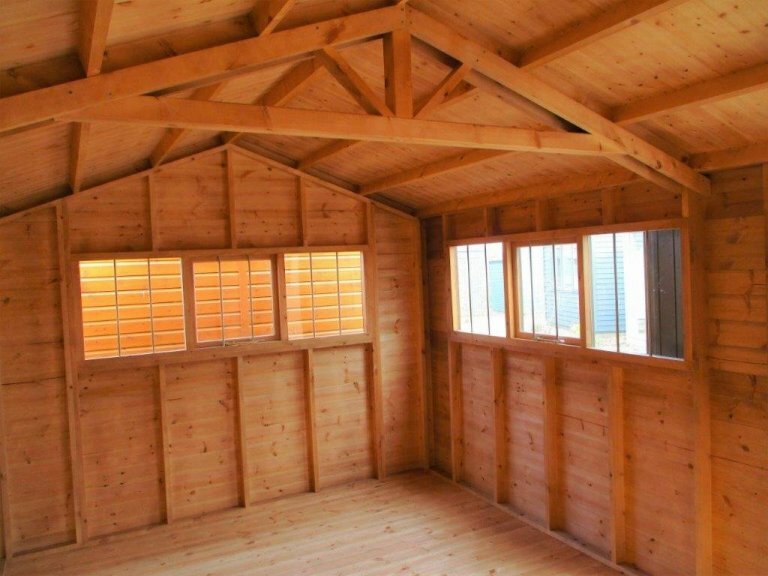 The timber shed has an apex roof covered with our heavy-duty, heat-bonded felt and two opening windows to provide both ventilation and natural light. 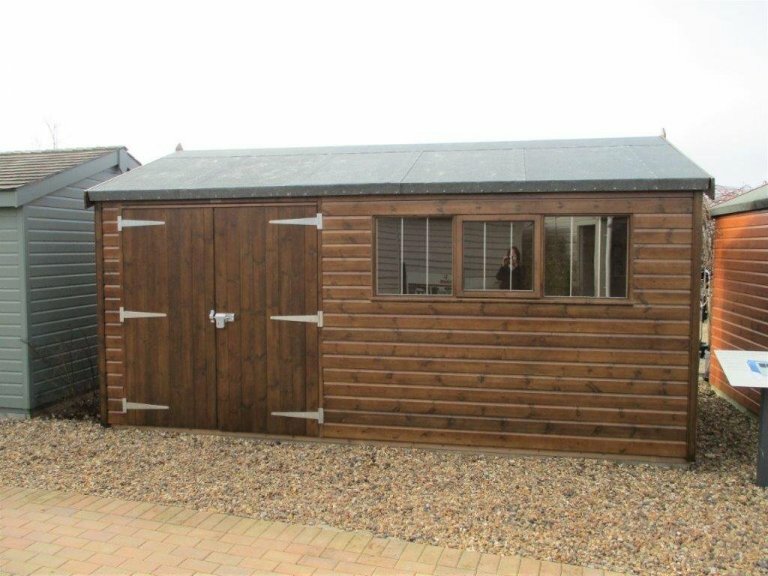 The exterior is clad with smooth shiplap and painted in the Sikkens preservative stain shade of Walnut for a tasteful look that still allows the natural beauty of the wood to show through. 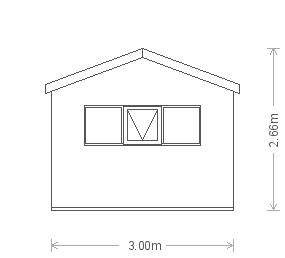 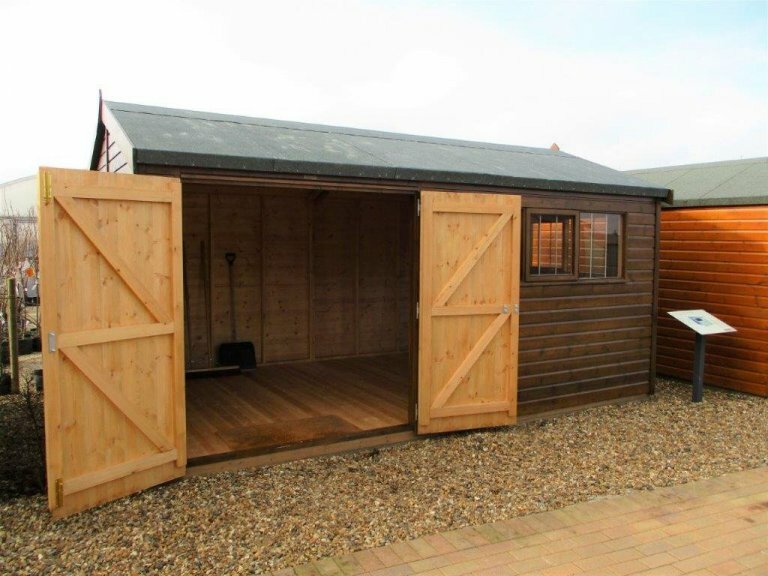 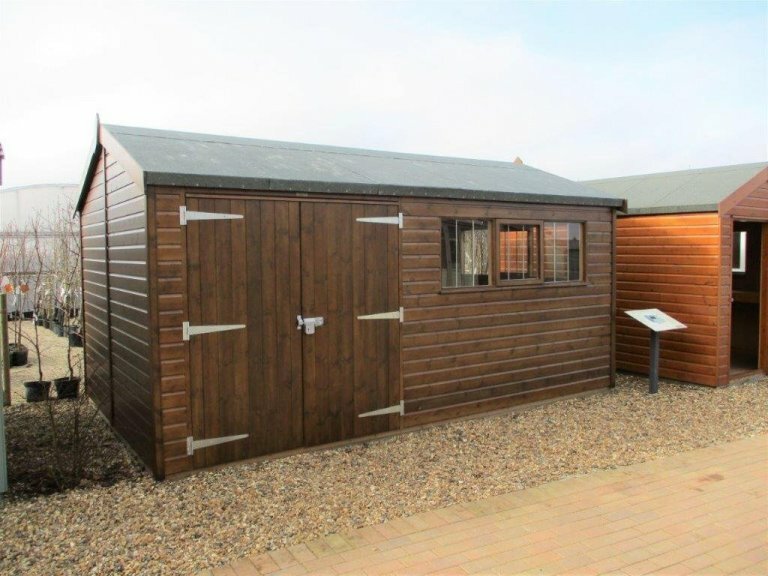 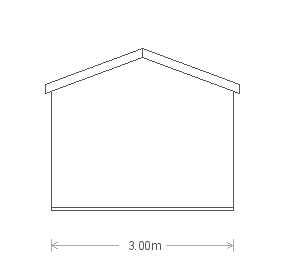 In order to take a closer look at this building and our entire range of sheds and summerhouses, we invite you to visit us at our Brighton showsite.